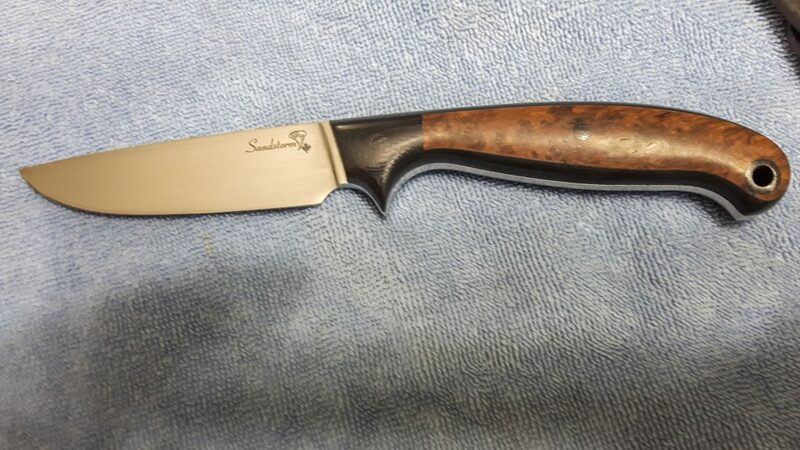 The latest Sandstorm Custom Knife is a gorgeous 4″ Drop Point Hunter Knife! 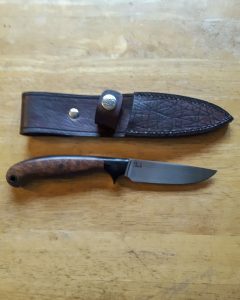 The handle is Presentation Grade Stabilized Red Cedar Burl with Double Black Bolsters and Liners. It has two 3/16″ Black Canvas Micarta Pins and a 3/8″ Black Canvas Micarta thong hole. The steel is D2 Tool Steel with a Rockwell hardness of 60. This is a high carbon, high chrome steel with amazing edge holding properties, extreme toughness, and good corrosion resistance. 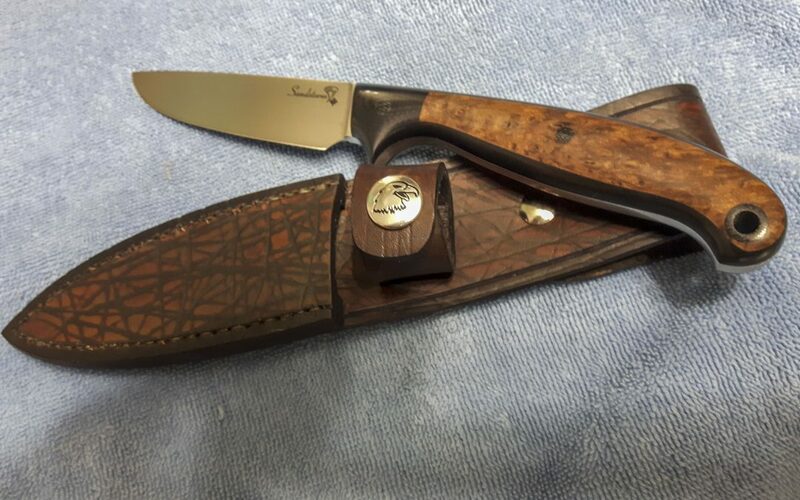 The sheath is made of top quality 9/10 ounce cow hide, hand-sewn and hand-dyed in a Mossy Oak type Scratch Pattern that’s exclusive to Sandstorm Custom Knives. The engraving was done by Engrave It! in Courtenay, BC, by Brandon. 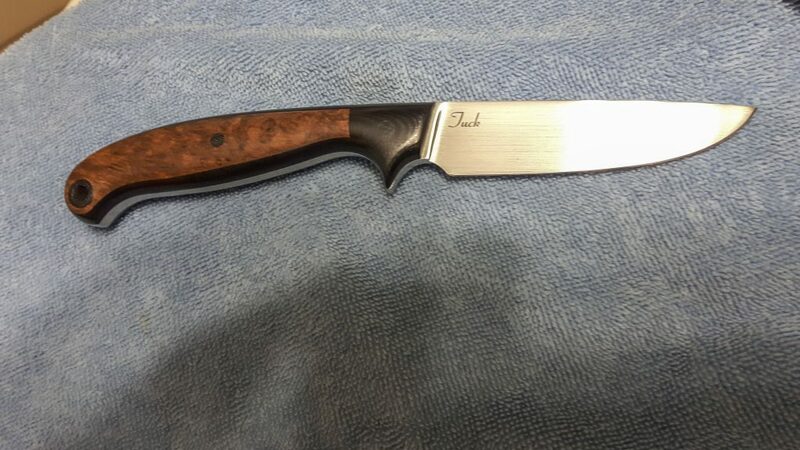 Order early – it takes time to create your custom knife. Time will vary depending on availability of materials and our current knife order queue. For a price quote, contact us or call 250-287-2194.